The pack includes 160 no-prep session plans, for every subject in the curriculum. For those who can have stand-alone sessions, we’ve included a sequence of ten recommended session plans for each year group from reception to Year 6. Each pack comes with 10 copies of our Philosophy Circles minibooks. 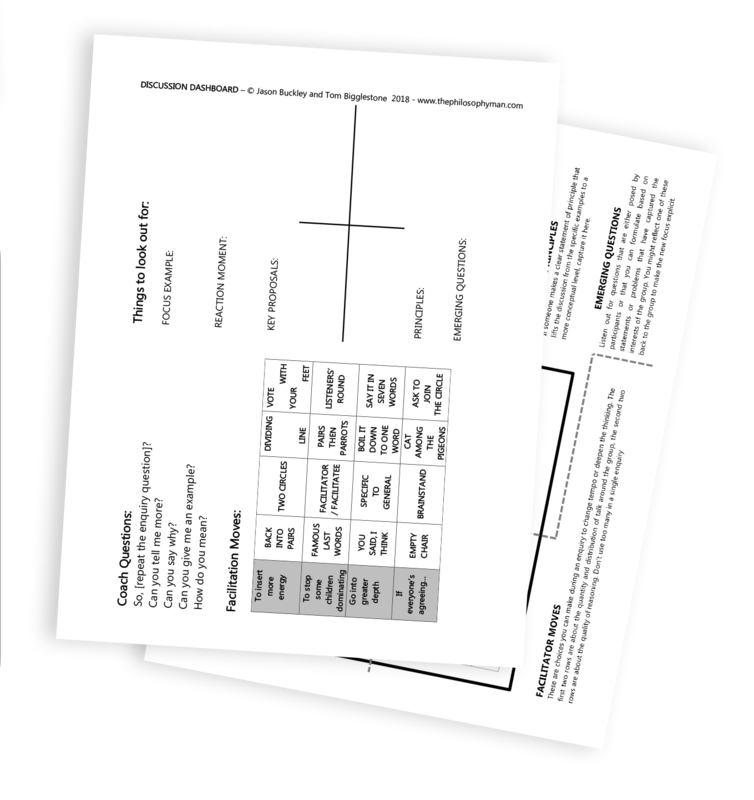 Thousands of hours of doing philosophy with children and teachers is distilled into 48 readable, A6 pages. Small enough to fit into your pocket (“I’ve been carrying it around for months!” said one teacher), the book is built around three memorable principles that create engagement, challenge and independent thinking. It helps teachers stay true to the “why” of doing philosophy as well as giving do-able options for the “what”. 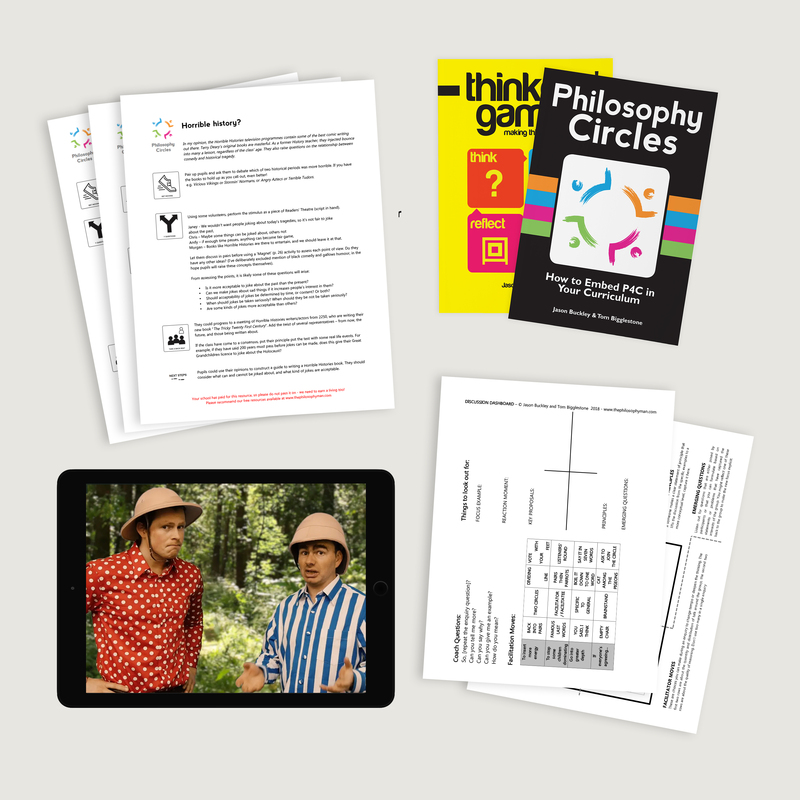 Also included is 10 copies of Thinkers’ Games. 38 adaptable games to help children throw themselves into the joyful argy-bargy of the argument. 38 different ways to drive engagement and make thinking fun! Our brand-new Enquiry Dashboard is perfect for boosting teacher confidence in the face of the unknown. Designed for use during an discussion, it places the distilled experience of years of facilitation in the hands of teachers new to P4C.